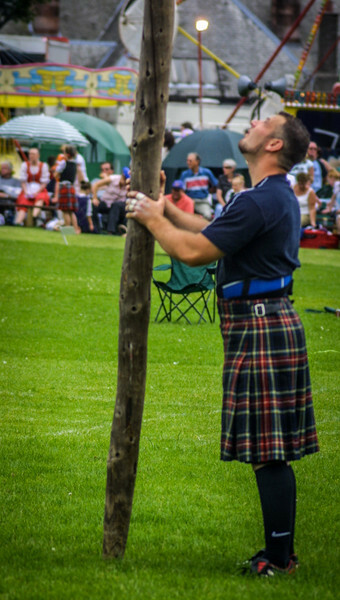 The Caber is a tree that has been cut and trimmed down so one end is slightly wider than the other. 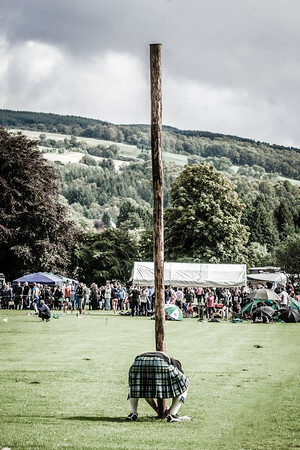 It can vary length from 16 to 22 feet and between 100 and 180 pounds. The smaller end is rounded off so it will be easy to cup in the thrower’s hands. 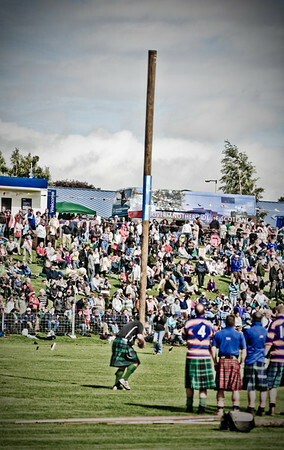 The caber is stood up for the thrower with the large end up. 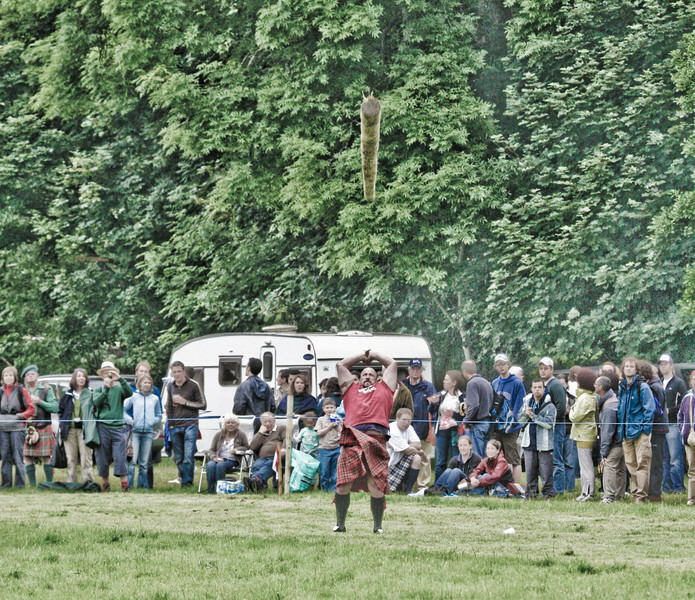 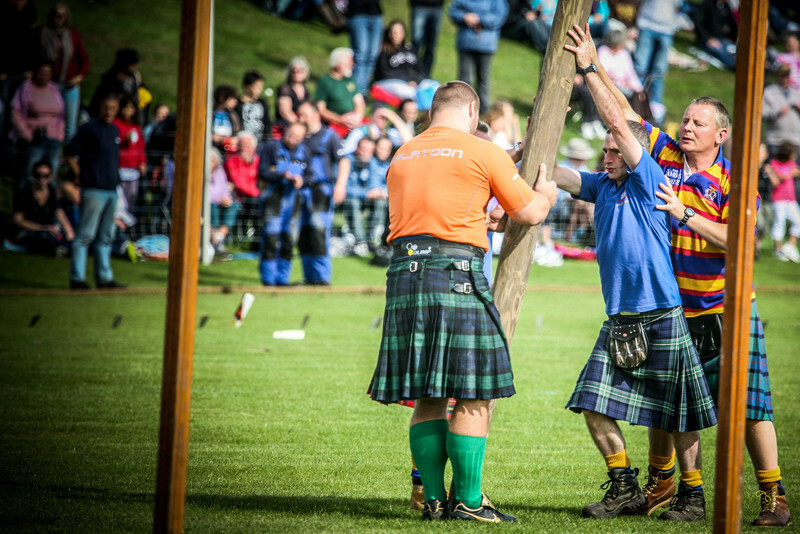 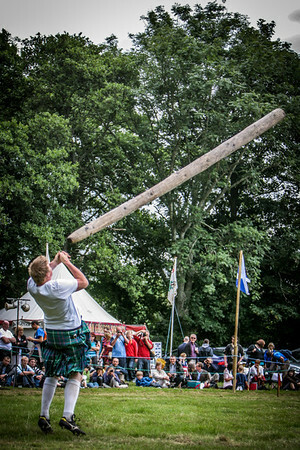 The thrower hoists the caber up and cups the small end in his hands. 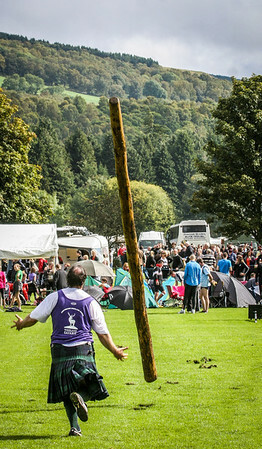 He then takes a short run with the caber and then stops and pulls the caber so that the large end hits the ground and the small end flips over and faces away from the thrower. 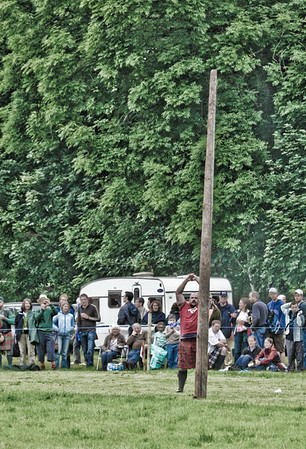 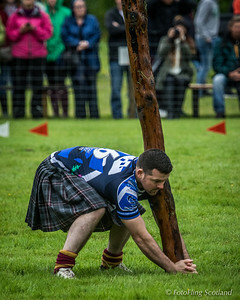 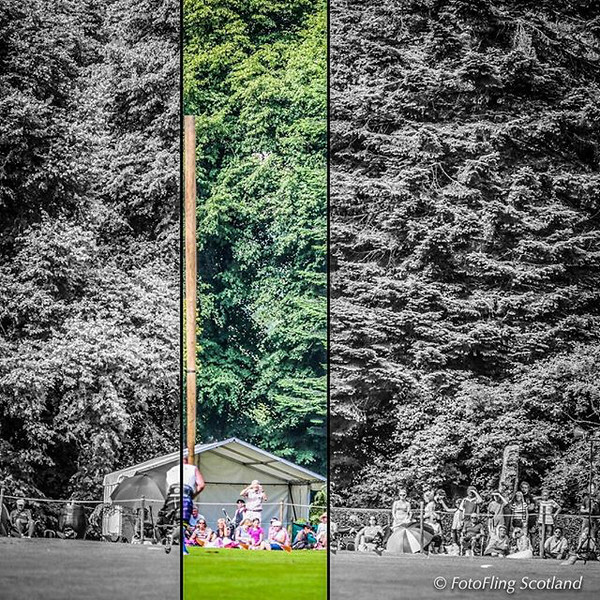 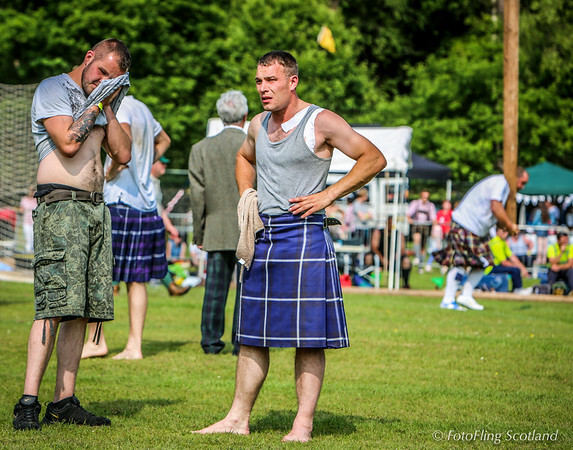 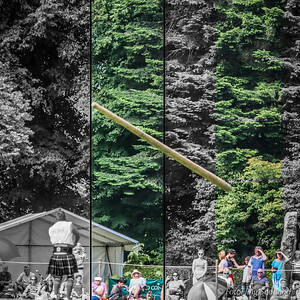 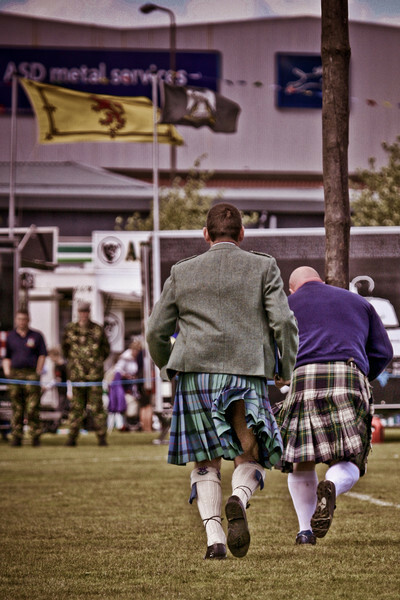 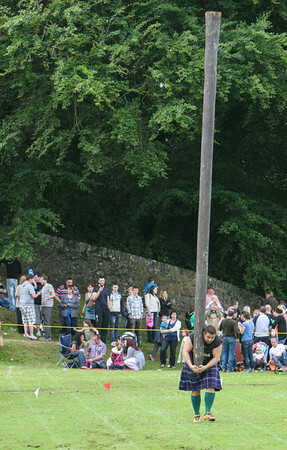 The caber is scored for accuracy as though the thrower is facing the 12:00 position on a clock face. 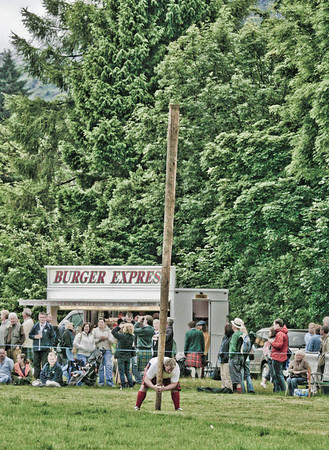 A judge behind the thrower calls how close to the 12:00 position the small end of the caber lands, 12:00 being a perfect toss. 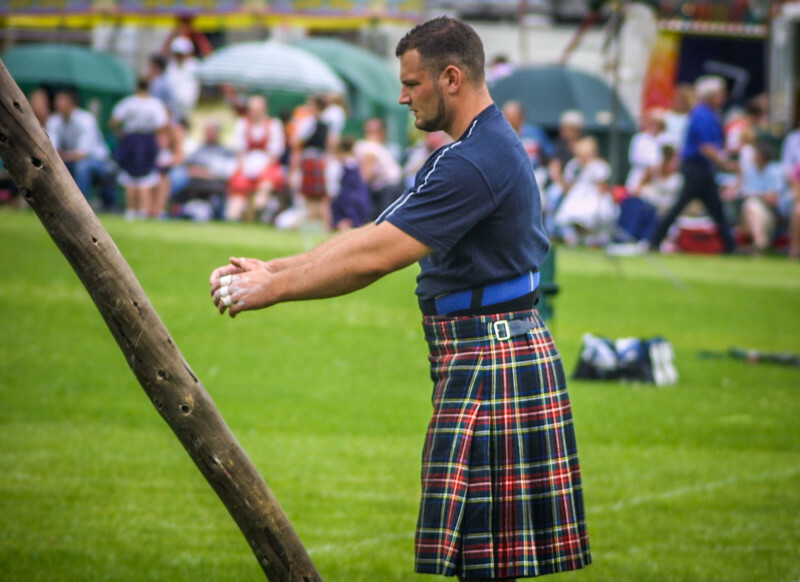 If the caber is not turned, a side judge calls the degrees of the angle the caber makes with the ground. 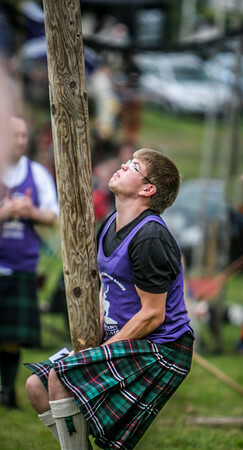 Where do I grip it ?